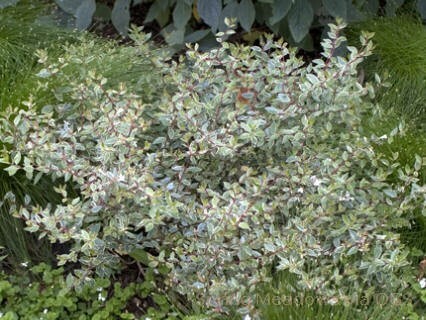 Product Information : Distinct, clean silver to cream margined variegated foliage and white flowers. A compact sport form 'Compacta'. White blooms emerge in spring.